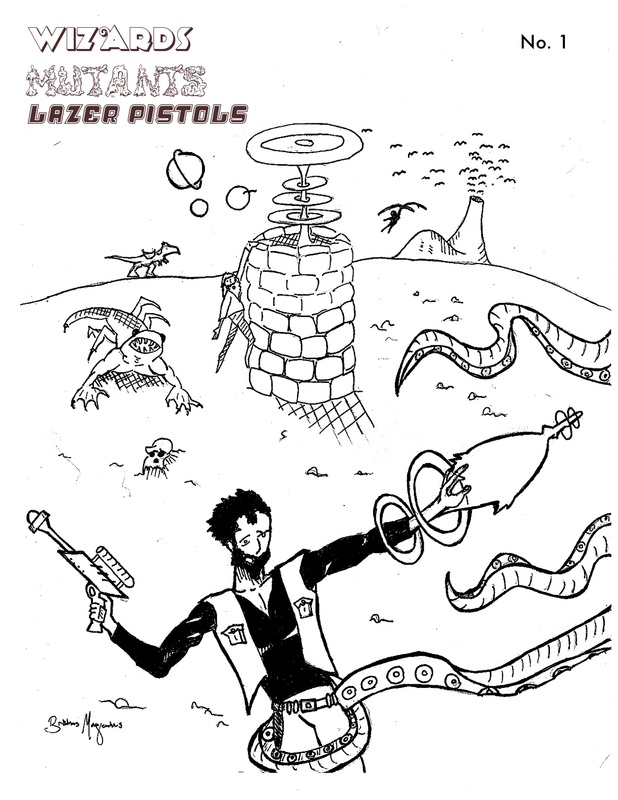 A week or so ago I received a couple of very cool zines in the mail First off is Wizards, Mutants, and Lazer Pistols. I will admit at first I was a bit suspect. I'm one of those who dislikes sci-fi in my fantasy. But perfectly fine if there is fantasy in sci-fi. But after a little time I knew I was going to get it because with a title like that and cover art that I love. When it came in the mail I was surprised it was a full sized magazine. I was expect the half fold thing. Nope. Big and brave with neon yellow cover. Stapled at the edge. Two column layout, easy to read with style. The first article is a class, The Animator. I think it can be easily adapted into a campaign. An artist who can animate things, please, needs to be in your campaign and yours. The Beneath the Ruin is a good adventure that also can be adapted in a campaign. When I read these adventures that's what I'm looking for. Can I squeeze this into that forest over yonder since I haven't full developed it. You can with this. The third section is the Web Walker and good addition to throw at players. I think it has a good creep effect. And lastly, an unexpected bit of fun, Module Mania. A fill in the blank/crossword puzzle that tests your knowledge of the old modules of long ago. If you get a chance, plop down some spending cash to pick this one up. I liked it a lot and I think it fits perfect in the OSR zine scene. 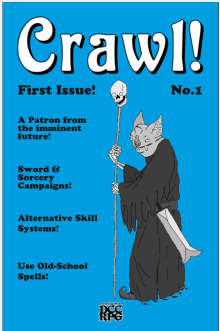 Crawl was the second zine I got. 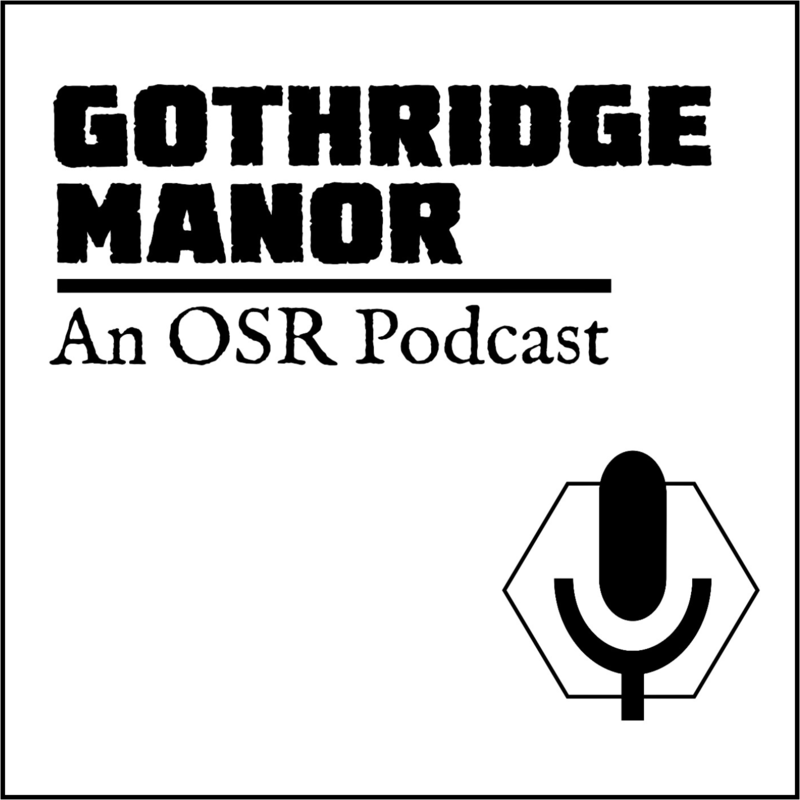 This one is dedicated to Goodman Games, Dungeon Crawl Classics. 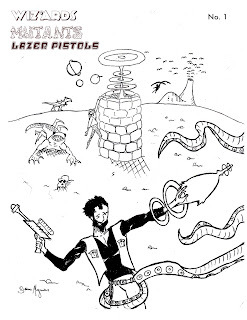 First off, this zine is what got me to go to the store this weekend and purchase the core rules for DDC. I really like the excitement it brings to the game. While there is a lot in there I may not get the gist of because I don't have the core rules I plan on rereading it once I do. The one con about the zine for me is the spacing of the sentences is crammed and dark. Maybe its my old eyes, but the font and spacing were hard to read at some points. The content was great. It has to be to get me to get the rules. The set up is like a typical zine, half fold staple in the middle, single column format. Great old school pencil drawn art. I like the rough sketches they capture the feel of the game and the zine. Over all both these zines are useful and fun to read and I plan on getting future issues.